So you’ve created an airdrop campaign, great! The next step is to find the right platform to list your airdrop. Want to attract new crypto-curious users? Complete your airdrop listing with a few easy steps and get promoted on the largest crypto airdrop platform. After this step-by-step guide you’ll have your airdrop presented to our community in no time. For a limited time, we’ve reduced the prices to get your airdrop in front of a large blockchain audience. Whats the difference between these packages? This is the basic listing on our platform. 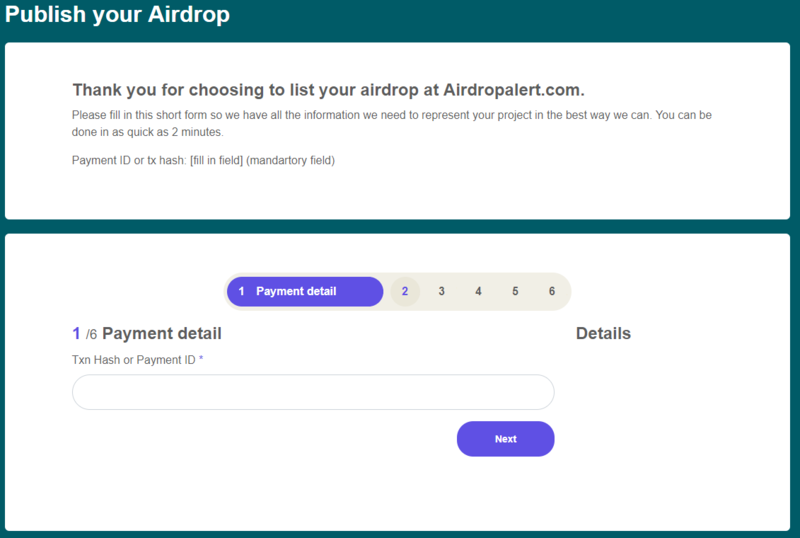 Your airdrop gets listed on our main page under “new airdrops” and pops up in our newsfeed. Additionally it’s shared on our main social media which includes Telegram & Twitter. The airdrop is active for 14 days, however expect it to drop off the main page in 2-3 days. 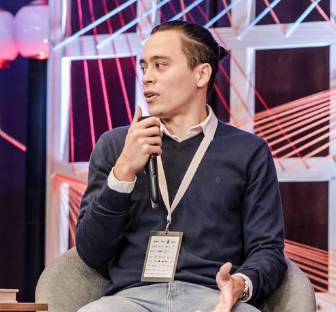 The price-point is set to fit in every airdrop marketing budget. In the above image, PrepayWay just purchased a featured listing. As you can see, it’s listed under “featured airdrop” , “new airdrops” and a banner under “sponsored airdrops”. 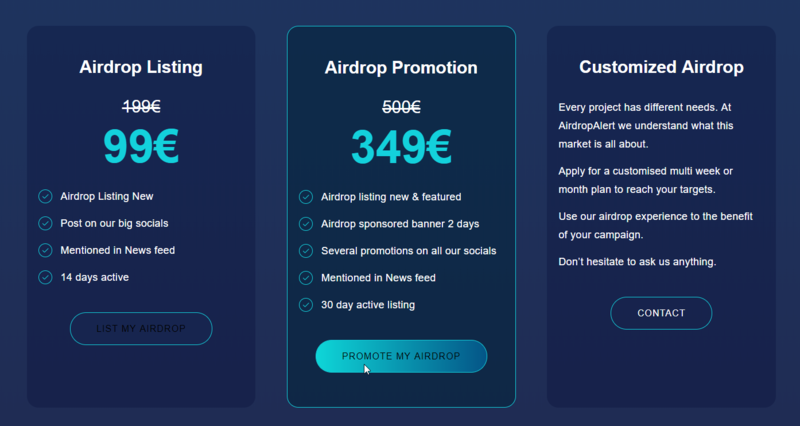 The sponsored airdrop banner is displayed on every airdrop page. This creates a significant increase in awareness and you’ll have this spot for minimum of 2 days. 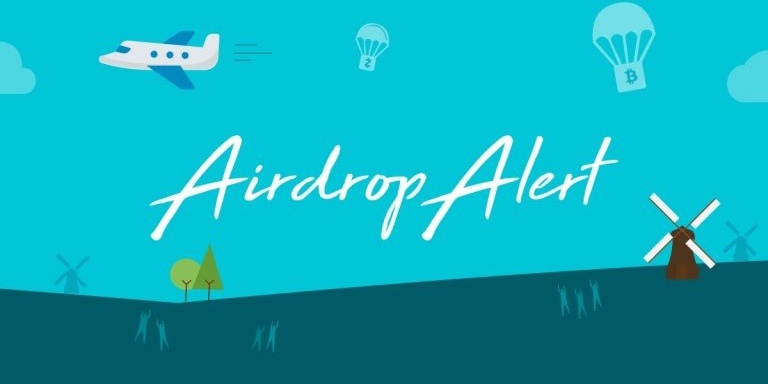 We promote your airdrop on all our socials including, Linkedin, Twitter, Telegram, Facebook, Reddit, Instagram and more. One of the best benefits of this package is the mention in our weekly newsletter to over 300k email subscribers. Your airdrop will be active for 30 days and we expect a main page display of 7-10 days. Starting an airdrop campaign is a great way to attract new users. But do you want to be sure to hit your KPI’s? Are you creating the right funnels? Schedule a meeting with us and we’ll create a multi month campaign where you sit back and let us do the heavy lifting. Previous clients who enjoyed our customized airdrop campaigns. 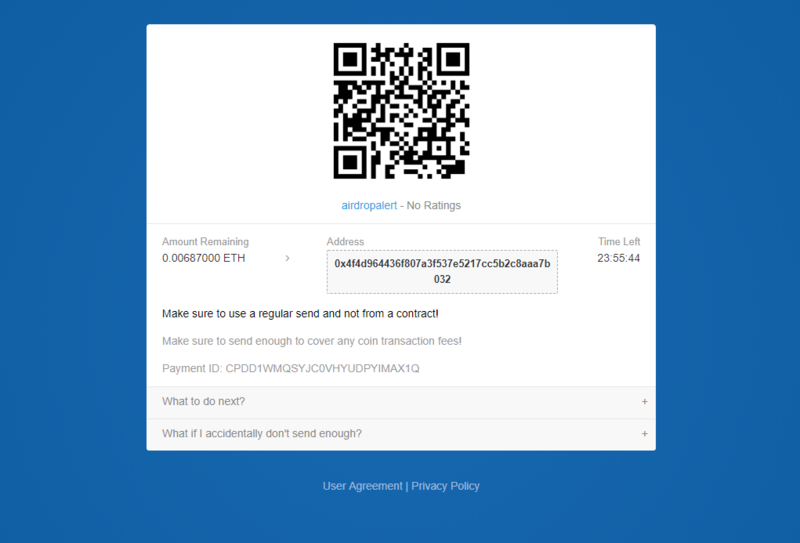 We implemented Coinpayments as a 3rd party service to automate payments. Select your coin of choice and complete checkout. You’ll have 24 hours to complete the payment. In the meantime you”ll receive emails from Coinpayments. One to confirm this payment, and another one after we received the coins. Even though Coinpayments states it waits for 3 confirmations before transaction is approved, we noticed it can take up to 15 confirmations before you go to the next step. Once the transaction is completed, you’ll get the long awaited message “Paid”. Click to continue to seller’s store to start listing your airdrop! Now the most important part, supply us with all the information we need to promote your airdrop. This includes airdrop, project, ICO, team and company information. Did you close the window after payment, and looking for the listing form? Go here. 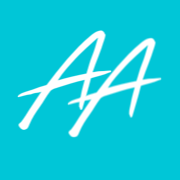 Transparency towards our users and clients is important to us. To avoid the dreaded unverified label carefully read our listing policy. While you’re welcoming new people to your project, you can keep our community engaged by providing regular updates. There is no other airdrop platform who makes it this easy to community with their community. Make use of it! 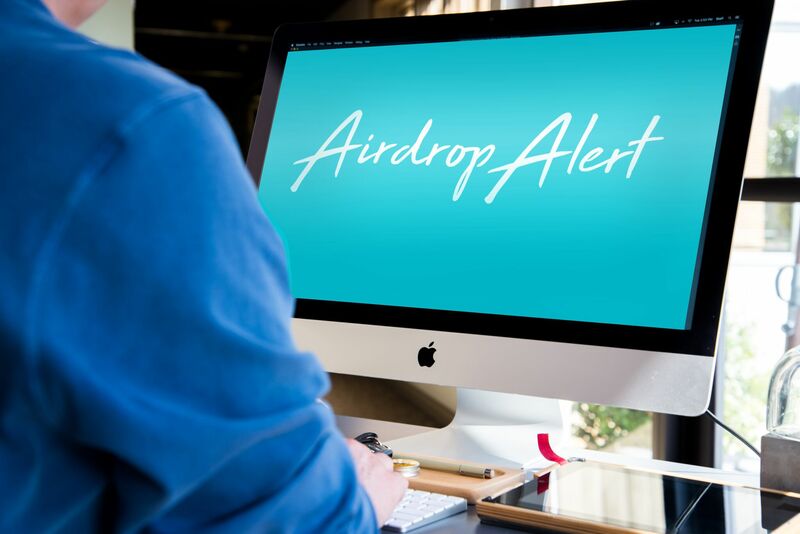 Feel free to contact us if you wish to upgrade or extend your airdrop listing. D) Why do an airdrop?